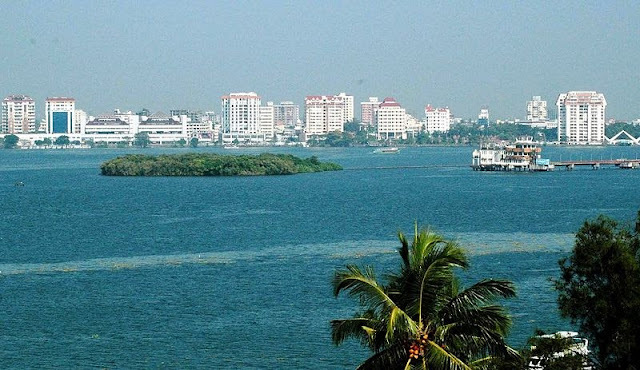 Marine Drive, a place equally interesting for all age groups which provides a panoramic view of the setting sun and cool breeze from the Vembanad Lake has made Marine Drive an important tourist destination in Kochi. 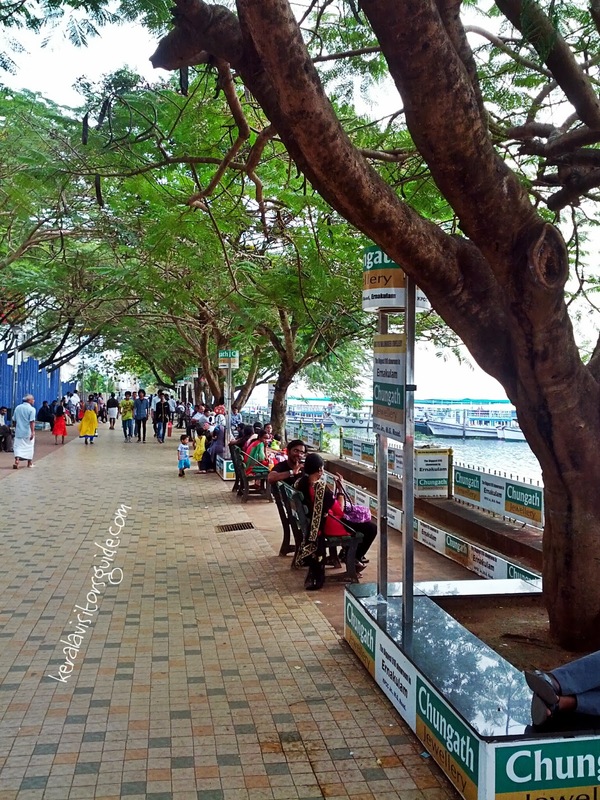 The walkway at Marine drive is a man made popular hangout for the locales as well as visitors were no vehicles are allowed. This is also famous for the posh verticals of 20+ floors mostly occupied by celebrities. There are shopping opportunities along the walk way and across the road were Broad way, Market Road and Convent Junctions provides plenty of shopping opportunity especially for the ladies among you. The walkway starts from the High court Junction (which will be extended till Goshree Bridge soon) and continues till the Rajendra Maidan for about 2.5 km once completed. 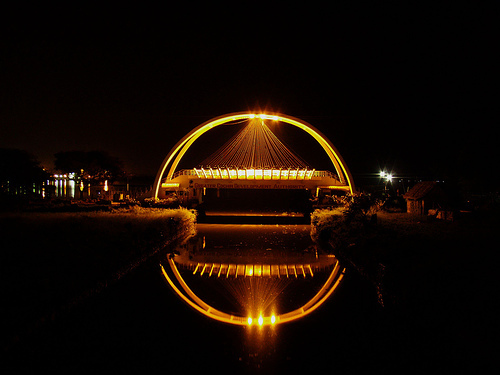 In between you can see 2 contemporary structured bridges, The Rainbow bridge and The Chinese Fishing Net bridge, GCDA Shopping complex, Many Apartment complexes and Children's Park. There are plenty of Private and Govt operated Ferry Tours available along the Walk way which takes you around the Lake for half - one hour rounds. If you are planning to spend your evening at Marine drive take a ride around Sunset which will be the perfect choice. To make your ride happier and safer choose a bigger ferry f available as it provides a lively atmosphere with all the noise and fun at the same time a better balance over the water so that you can move around on the boat floor. Smaller boats restrict this once you get seated for better safety. Enjoy the Skyline of Kochi from the Ferry, take a better glimpse at the Rainbow bridge and the Chinese fish net bridge and the wide angle view of tall apartment buildings lining the Marin Drive. 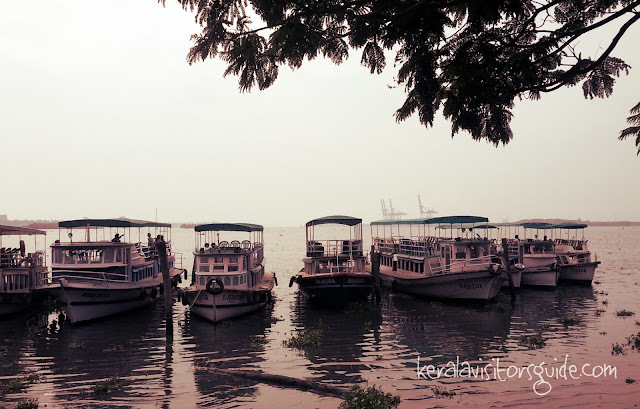 You can also capture the Cargo container terminal, Willington Island, Bolgaty Island and Palace from the Ferry. No doubt you will be returning home with a fresher and relaxed Mind. Parking : Paid Parking Available at various points. Senior Citizen Friendly : Yes plenty of seats to take rest when you are tired of walking.